← Do What You Love in 2014! Happy Book Birthday, Return to Audubon Springs! I imagine Rafe and Emma are sitting on the beach right now watching the sun rise or set, (depending on what time of day you’re reading this) happy their story of how they found their way back to one another, learned to set aside anger and pride, listened with an open heart, and fought for their happy ending is being shared. As for me, it’s a bit of a surreal moment. The book has been available for human consumption for nearly three months. I’ve learned a tremendous amount about the publishing industry and marketing in the past few months. Enough to know that this is an ever changing business and even when you THINK you have a handle on it, you don’t. More importantly, these past three months have allowed me to connect with readers! THANK YOU for taking the time to find me on FaceBook or send me a message directly from my site. I’m blown away by how much this Romantic Comedy has touched your lives and you in turn have touched mine. I’m currently sponsoring a Rafflecopter Giveaway of a $10 Amazon Gift card to one lucky person through January 4th. My gift to you! Please click on the link below and enter to win. As always, thank you for stopping by and for sharing the journey! 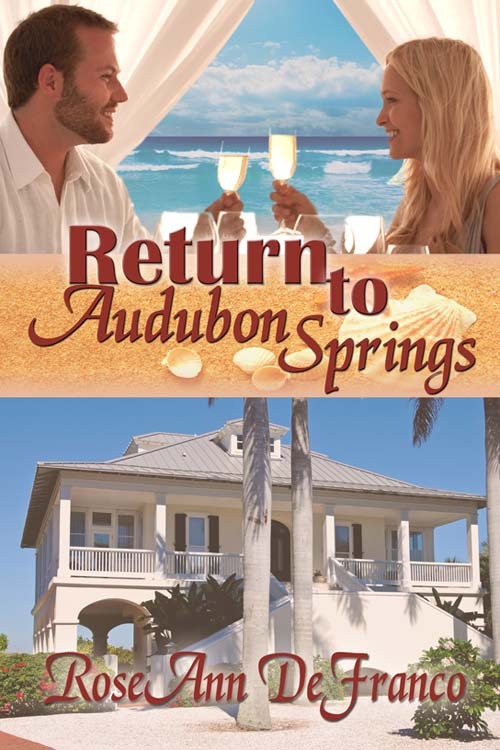 This entry was posted in Giveaway, Return to Audubon Springs, The Brothers of Audubon Springs, World Wide Release and tagged B&N Nook, Giveaway, Kobo Reader, Return to Audubon Springs, RoseAnn DeFranco, World Wide Release. Bookmark the permalink. 5 Responses to Happy Book Birthday, Return to Audubon Springs! HI Lori! Thanks for the well wishes! I think you’re pretty awesome, too! Just looking at their smiling — warm — faces along with the lovely sun-touched water behind them has brightened my quite cold day. 🙂 Best of luck with the world wide release. Happy book birthday, RoseAnn! I read it and loved it. Still have to put my review up on Goodreads. I can’t wait to read Secondhand Romance! Thank you Jaye and Barbara! I’d love it to be summertime in Audubon Springs right now!